Charles Marson, Administrative Law Judge, Office of Administrative Hearings (OAH), State of California, heard this matter on December 14-15, 2011, and January 3-4, 2012, in San Rafael, California. Margaret M. Broussard, Attorney at Law, represented Student. Student’s Mother was present throughout the hearing. Student’s Father was also present except for a few brief absences. Student was not present. Jan E. Tomsky, Attorney at Law, represented the San Rafael City Schools (District). Amy Baer, the District’s Executive Director of Student Support Services, was present throughout the hearing on behalf of the District. 1. Whether the District’s offer to place Student at the Anova Center for Education (Anova) in San Rafael at the May 11, 2011 individualized education program (IEP) team meeting was predetermined, thus depriving Parents of their right of meaningful participation in the IEP process? 2. Whether Student’s eligibility category for special education should be emotionally disturbed, rather than autistic-like behaviors? 1For clarity of the record, Student’s Closing Argument, Reply Brief and Supplemental Reply Brief have been marked as Student’s Exhibits 40, 41, and 42, respectively. The District’s Closing Argument and Reply Brief have been marked as District’s Exhibits 19 and 20, respectively. Student contends that the District’s May 11, 2011 offer to place Student at Anova was predetermined by District members of the IEP team, thus depriving Parents of their right to participate in the IEP process. He also contends that the offer erroneously added to his IEP the statement that he is eligible for special education and related services because of autistic-like behavior as well as emotional disturbance. He argues that this misconception of his disabilities led directly to an inappropriate offer of placement at Anova, which primarily serves autistic students. He contends that at Anova, a licensed non-public school (NPS), he would be prevented from obtaining a FAPE because of the use of an inappropriate method of behavioral control, the challenges that would be presented to him by other students, and the difficulties he would encounter in making the transition to Anova. Parents have unilaterally enrolled Student in the Star Academy (Star), another NPS, and seek reimbursement of tuition and related expenses. The District contends that its offer of placement at Anova was not predetermined. It argues that the addition of an eligibility category to the IEP of a student already eligible on another ground is not a decision regulated by the Individuals with Disabilities in Education Act (IDEA) and related laws, and in the alternative that its decision to add the eligibility category of autistic-like behavior to Student’s IEP was correct. It asserts that the May 11, 2011, IEP offer of placement at Anova would provide Student a FAPE. 1. Student is a 12-year-old boy who resides with Parents within the geographical boundaries of the District. He has at least average intelligence and is well above average on some measurements, such as reading comprehension and math. He is eligible for and has been receiving special education and related services under the category of emotionally disturbed. He suffers from extreme anxiety, fear of relations with other people, inattention and other deficits. 2. Student attended school for first and second grade at the District’s Coleman Elementary School, but Parents removed him from Coleman partway through the third grade. The parties agreed he would receive home instruction instead. Student spent much of his third grade year and all of his fourth grade year on home instruction and was primarily taught by Mother. 3. In fall 2009, at the beginning of Student’s fifth grade year, Parents enrolled him in the Star Academy (Star), an NPS in San Rafael. Student attended Star pursuant to two settlement agreements between Parents and the District under which the District financed Student’s attendance at Star. The second agreement expired at the end of the extended school year 2010-2011. 4. On May 11, 2011, Student’s triennial IEP team meeting was held to consider his program for the coming school year, 2011-2012. At the meeting the team members agreed generally on Student’s program and that he should attend an NPS. The District offered to send Student to Anova, another NPS in San Rafael. The District’s offer included the addition of autistic-like behaviors to Student’s IEP as another category in which Student is eligible for special education. Parents accepted most of the IEP offer but declined to enroll Student in Anova, preferring that Student remain at Star. Starting in August 2011, Parents have been paying Student’s tuition and expenses at Star, for which they seek reimbursement here. 2 The ALJ has slightly reworded and reordered the issues for clarity. 5. Under the IDEA, parents of a child with a disability must be afforded an opportunity to participate in meetings with respect to the identification, assessment, educational placement, and provision of a FAPE to their child. A district must fairly and honestly consider the views of parents expressed in an IEP meeting. School officials may not arrive at an IEP meeting having already decided on the program to be offered. School officials do not predetermine an IEP offer simply by discussing a child’s programming in advance of an IEP meeting, but a district that predetermines the child’s program and does not consider the parents’ requests with an open mind has denied the parents’ right to participate in the IEP process. 6. Student argues that a few days before the May 11, 2011 IEP team meeting, the District and Anova agreed during a telephone call that Student would be admitted to Anova and that the District would offer placement at Anova at the upcoming meeting. The participants in the call were Michael Gardner and Amy Baer, the District’s top special education staff, and Andrew Bailey, the founder and chief executive officer of Anova. All three testified that a few days before Student’s May 11, 2011 triennial IEP team meeting, Ms. Baer and Mr. Gardner called Mr. Bailey about Student. They asked only whether there was space in Anova for him and whether Mr. Bailey could attend the IEP team meeting. Mr. Bailey said there was space and he could attend. All three testified that there was no understanding before the meeting that the District would offer placement at Anova or that Student would be accepted there. 7. Michael Gardner is the assistant director of student support services for the District’s elementary schools,3 and is the chief special education officer for those schools.4 He presided at the May 11, 2011 IEP team meeting. Mr. Gardner was a careful and thoughtful witness whose answers were direct, consistent with those of many other witnesses and the documentary evidence, and not significantly undermined by cross-examination. His testimony is given substantial weight here. 8. Amy Baer is Mr. Gardner’s superior and, as the Executive Director of Student Support Services at San Rafael City Schools, has responsibility for the oversight of all special education. Although her testimony was brief, since she did not attend the May 11, 2011 IEP team meeting, there is no reason in the record to doubt her credibility. 9. Andrew Bailey is a clinician and educational consultant, and executive director, principal, and director of educational services for the Anova Center for Education (ACE). Mr. Bailey began his special education career at the Spectrum Center, an NPS in Berkeley specializing in the treatment and education of autistic children. He worked there for 10 years, first as a paraprofessional and then as a special education teacher. Mr. Bailey received a bachelor’s degree in psychology from the University of Cincinnati in 1985 and a master’s in clinical psychology from John F. Kennedy University in 1991. 10. In 1994, Mr. Bailey became a licensed marriage and family therapist (MFT), and moved to Sonoma County to work for five years as a behavior analyst and educational consultant at On Our Own, then the largest non-public agency (NPA) in the North Bay. There he supervised a caseload of 50 to 60 students and 30 to 40 paraprofessionals in public and private schools, and in special and regular education settings, throughout the Bay Area. He also did home consultations for parents of disabled children for four different regional centers. He has extensive experience training special and regular education teachers for the Sonoma County and Marin Offices of Education and several large and small school districts, and he conducts lectures for parents of disabled children. He is a guest lecturer at Santa Rosa Junior College on the subject of autism. 11. Mr. Bailey was a credible witness whose testimony was thoughtful, detailed, fully responsive to questions, and consistent with the documentary evidence. Crossexamination did not reveal any significant weakness in his testimony. Mr. Bailey’s testimony is also given substantial weight here. 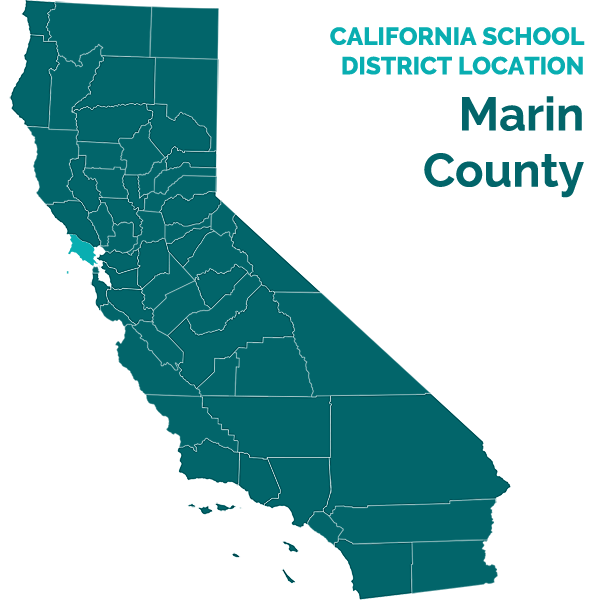 3 San Rafael City Schools is comprised of an elementary school district and a high school district. 4 Mr. Gardner has been the special education program manager of the Marin County Office of Education, a special day class teacher, and an administrator at several schools He has a clear mild-to-moderate special education credential and a preliminary administrative services credential. He has extensive training concerning autistic children. We heard that you had indicated that [Student] would be accepted at Anova. It was our understanding that you would have to review his application to determine if he was a good fit. Could you please clarify. Have we ‘accepted’ [Student] at Anova? Answer: No. Not yet. I have not met James and therefore could not have made that decision. Based on what I have heard . . . he sounds quite appropriate but a final decision would require a meeting. I DID inform the district prior to [Student’s] IEP meeting that we WOULD accept James based on a file review and reports from SRCS . . . without requiring a meeting with [Student]. I made this agreement due to the unusual nature of the case and the need to expedite a placement offer for your consideration. Unfortunately I did not fully recall having made this agreement while composing the below correspondence, but was reminded by district personnel after the fact. 13. When the email is read in the context of the emails that preceded it and the testimony of Mr. Bailey, it does not support Student’s interpretation. Mr. Bailey testified that he is Anova’s intake committee and makes all final admission decisions himself. Normally he meets the student first, although there have been exceptions to that practice. In this case, when Ms. Baer and Mr. Gardner called him, he told them that he would accept Student without meeting him “if he were appropriate.” Mr. Bailey testified that a meeting with Student was unnecessary in this case because he had the benefit of listening to a full description of Student by his triennial assessors at the IEP team meeting, which gave him more information about Student than he would have acquired simply by meeting him. He testified he did not decide Student was appropriate for Anova until he heard about Student’s needs and goals at the IEP meeting. 5Student misquotes the email in his closing brief, claiming that it states Mr. Bailey had “’accepted’” Student, but the document Student introduced in evidence shows that Mr. Bailey used the words “would accept” instead. 14. Mr. Bailey testified further that he was actually surprised that the District made the Anova offer at the meeting.6 He testified credibly that he did not know any offer was going to be made at the IEP meeting, much less an offer of Anova, until it happened. It was clear to him at the meeting that Parents did not like the Anova offer, and when they visited Anova later he told them he did not like being put in the position of supporting a placement they opposed, but he firmly testified that there was no prearranged placement at Anova. He also credibly denied Father’s claim that he had told Parents he felt “played” by the District. 15. With this background, the meaning of Mr. Bailey’s email is clear: in stating that “we would accept [Student] based on a file review and reports from SRCS” he meant only that Anova would, after reviewing those documents, make an acceptance decision without having to meet Student. It did not mean that Mr. Bailey accepted Student before the meeting. If he had, he would not have written on June 16, 2011, that Anova had not yet accepted Student. Since Mr. Bailey testified that, prior to the May 11 meeting, he had looked only at a single redacted assessment concerning Student, the evidence showed that he had not yet conducted a “file review” or seen “reports” from the District before the meeting. Thus Mr. Bailey’s testimony was entirely consistent with his email. It meant he needed to see further records before the final decision was made, but he did not need to meet Student. 16. Mr. Gardner took notes of the May 11, 2011 IEP team meeting and attached them to the offer. Those notes do not mention a discussion of the appropriateness of placement of Student at Star. Student now claims that the absence of such an entry from Mr. Gardner’s notes means that the discussion did not take place, which in turn indicates that the District had already decided on its offer before the meeting. 17. Mr. Gardner testified that his notes were never intended to capture everything that was said at the meeting. In any event, it is what was actually said about Star at the meeting that matters, not what Mr. Gardner chose to write down. If the parties actually discussed the issue, the fact that Mr. Gardner did not record the discussion is irrelevant. 18. It is true that there was no discrete block of time set aside for a discussion of placement at Star as there was for placement at Anova, but that does not show that a placement offer had already been decided upon. Anova was new to Parents and had to be fully discussed. Star, on the other hand, was familiar to everyone at the meeting. Other students who live in the District attend Star. Placing Student at Star had been the subject of discussions between District staff and parents for years in connection with the settlement agreements and Student’s previous attendance at Star. The triennial assessments were largely conducted at Star with substantial assistance from Star staff, which included the provision of much information about Student’s performance at Star. The assessments themselves, which were discussed at length at the meeting, contain a great deal of information about Student’s time and progress at Star. The speech and language (S/L) assessment was done by Star’s S/L pathologist rather than a District assessor. Seven of the eight goals agreed upon by the IEP team were drafted by Star personnel. Because the IEP team already had so much information about Student’s time at Star, there was no need for it to go into the same kind of detail about a placement at Star as there was about a possible placement at Anova. 6 There was no evidence that Mr. Bailey was aware until later that the District’s second settlement agreement with Parents required it to make an offer by May 15, 2011. 19. Nonetheless, the evidence showed that there was substantial discussion at the meeting of the relative merits of placement at Star or Anova. Annie Crowder, Star’s Head of School, testified that she voiced her concern that moving Student would be a bad idea; that he was not ready to change schools; and that mainstreaming was not appropriate for him.7 Mr. Gardner testified that Ms. Crowder described the program at Star, how Student had been doing in the last two years, and her belief that the program was still appropriate for him. Mother testified that Parents’ delegation asked for time for Marsha Norris, Student’s private therapist, to speak because Ms. Norris had to leave the meeting early, and at least a “little” time was given her.8 Mother also testified that each of Parent’s “witnesses . . . said a little bit on . . . how Student should be allowed to stay at Star because he is doing so well there.” These advocates included Ryan Hall, Student’s classroom teacher at Star, as well as Ms. Crowder and Ms. Norris. 20. The issue that most divided the IEP team and most affected the choice of schools was whether or not Student was ready for mainstreaming. That issue was fully aired at the meeting. Parents and their supporters all argued that he was not ready. Ms. Crowder offered the opinion that Student would not be ready for mainstreaming until high school, if then. (In May 2011 Student was two years away from high school.) District members of the team testified that this statement distressed them, and that they argued Student was either ready for mainstreaming or soon would be. They cited this difference of opinion as the principal reason they preferred a placement at Anova. Although the May 11, 2011 IEP offer does not itself provide for mainstreaming, the evidence showed that all meeting participants understood that Student would be mainstreamed sooner if he attended Anova than he would be if he continued to attend Star. Thus the extensive discussion of mainstreaming served as a discussion of whether Student should be placed at Anova or Star. 7 Ms. Crowder has a master’s degree and is a Ph.D. candidate in clinical psychology. She has been a psychiatric child counselor, a special education teacher, an intern therapist, and the Director of the Sand Paths Academy, an NPS serving disabled students. She has been Head of School at Star since July 2009. 8 Ms. Norris is a marriage and family therapist licensed as an MFT. She has extensive experience in social work and has been in private practice since 1983. In that role she has provided therapy to hundreds of children. 21. Ms. Crowder testified that Mr. Bailey’s mere presence at the meeting indicated to her that the decision to offer placement at Anova had already been made. That inference was unjustified. Federal law requires that a representative of a private school be present at an IEP team meeting before an offer of placement at that private school can be made. The District knew that there was general agreement that Student needed placement at an NPS. It knew that representatives of Star would be at the meeting. So the District had to have an Anova representative at the meeting or it would not have had the option to make any offer but Star, and, by the terms of its second settlement agreement with Parents, it had to make an offer of placement for the 2011-2012 school year before May 15, 2011. Thus Mr. Bailey’s presence merely ensured that the IEP team at least had the choice of offering Anova if the team thought the choice was appropriate. 23. There was no evidence that Parents, or anyone on their behalf, asked for a continued IEP team meeting, or an additional meeting, or in any other way expressed the view that they had been rushed through the May 11, 2011 IEP team meeting, until the hearing itself. 24. Mr. Gardner testified that the process was not rushed at all. He testified that, as he reviewed the documents with Parents after the meeting, he asked whether Parents desired another meeting, and they declined. He also testified that Father actually complimented him on “involving [Parents] in the process” and that, despite their disagreements, “he felt like he did have the opportunity to participate.” Mr. Gardner thanked him for the compliment. At hearing Parents had an opportunity to rebut this testimony but did not attempt to do so. 25. For the reasons above, Student did not show by a preponderance of the evidence that the District decided before the May 11, 2011 IEP team meeting that Student would be offered placement at Anova. 26. The parties agree that Student qualifies for special education in the category of emotionally disturbed, and that he suffers from extreme anxiety, a fear of social situations and other people, and attention deficits. They also agree that Student’s disabilities are complex and difficult to categorize. 27. Student is irrationally afraid in social situations and has great difficulty approaching people. He does not properly interpret the intentions of others because he does not understand their behavior, intentions or body language; in large part he lacks the skills known as social pragmatics, social perception, or perspective taking. He frequently perceives the behavior of others to be directed at him when it is not, and feels threatened by it. He incorrectly believes that many things are intended to hurt him. If a ball bounces across a playground in his direction, he may believe it was thrown at him. If a student misbehaves in class, he may perceive it as an attack on him. He has interpreted a drawing by another student and a performance of a school play as personal attacks. When his younger sister was moved into his bedroom and cried, he believed that her crying was directed at him. 28. Student frequently exaggerates these incidents, perceives a small event as serious, and responds accordingly. On encountering these difficulties at school, Student has often developed somatic illnesses and insisted on going home, and has sometimes stayed away from school for several days. His attendance at school both before and after his period of home instruction has been poor, although it has been improving at Star. 29. Student has been assessed exhaustively since preschool. Assessors have variously found that Student suffers from attention deficit hyperactivity disorder (ADHD), depression, anxiety disorder, social phobia, pervasive development disorder not otherwise specified (PDD-NOS), oppositional defiance disorder (ODD), and possibly separation anxiety disorder. Some assessors have found that he is likely autistic; others have determined that he is not. 30. At hearing, the parties vigorously disputed whether the District’s May 11, 2011 IEP offer should have included the additional eligibility category of autistic-like behavior. A finding of eligibility requires the presence of any combination of seven defined behaviors. Parents argue that Student displays none of those behaviors; the District argues that he displays several of them. 31. For example, Student frequently retreats into himself or talks at undue length about videogames and dinosaurs when uncomfortable in social situations, and the parties dispute whether this constitutes an inability to use oral language for appropriate communication. For years the only protein Student has been willing to consume is in the form of an even number of chicken nuggets, usually in the shape of dinosaurs, and the parties dispute whether this shows an obsession to maintain sameness. In class at Star, Student sits on a large inflated therapy ball instead of a chair, and bounces on his ball almost constantly, even when his head is down on his desk. The parties dispute whether this indicates the presence of peculiar motoric mannerisms and motility patterns. 32. The ALJ declines the parties’ invitations to resolve this dispute over Student’s eligibility categories because it does not matter to the outcome here. Eligibility categories serve as gatekeepers for special education. Once eligible, a student is entitled to an IEP that meets all his disability-related needs, whether those needs would separately qualify him for eligibility or not. As a result, the IDEA and related laws do not entitle a student to eligibility under any particular category, nor do they regulate the addition of an eligibility category to the IEP of a student already eligible under another category. Thus the District’s addition of autistic-like behaviors to Student’s IEP offer, by itself, did not violate special education law whether it was correct or not. The IDEA and related laws require instead that Student be provided a FAPE, no matter what eligibility categories his IEP bears. 33. To provide a FAPE, a disabled student’s IEP must meet his unique needs and be reasonably calculated to allow him to achieve educational benefit. In a dispute over whether an IEP offers a FAPE, the tribunal must focus on the validity of the District’s offer, not the relative merits of the parents’ preferred alternative. 34. Most of the IEP offered to Student at the end of the May 11, 2011 IEP meeting is not in controversy here. The District offered to place Student, for SY 2011-2012, in a special day class with individual and group speech and language (S/L) therapy for 30 minutes a week each; 60 minutes a month of occupational therapy (OT) consultation; and transportation to and from school. It also offered access to sensory regulating materials, sensory breaks, and a variety of other accommodations relating to test-taking. It set forth Student’s present levels of academic and functional achievement and proposed eight goals, four of which addressed Student’s social difficulties. At the end of the IEP meeting Parents accepted everything in the offer except the proposed placement at Anova rather than Star, and perhaps the addition of the eligibility category of autistic-like behaviors. Parents do not argue here that there are any other defects in the IEP (except for the use of the consultative model for OT, discussed below). 35. Student contends that the District’s offer to place him at Anova rather than Star denied him a FAPE. Since Student filed the request for due process hearing and bears the burden of proof, only those criticisms of the Anova offer that he makes will be addressed. 36. Anova is a small NPS having three campuses. The San Rafael campus has 45 students with a variety of disabilities. It is situated on leased land on the campus of the District’s Davidson Middle School. The majority of its students are on the autism spectrum, but many of them are also emotionally disturbed. Most of them were unsuccessful in public schools, and most of them have serious deficits in the enjoyment of social relationships and perspective taking. The school concentrates on improving their social skills and relationships as well as delivering a demanding academic curriculum. 37. Anova offers a unique multidisciplinary treatment model that involves the frequent and direct use of S/L therapy, OT, psychotherapy, and other support services. It has a high ratio of staff to students approximating one to two. At present, the middle school class into which Student would be put under the District’s offered IEP has eight to ten students, two teachers and two adult aides. All of Anova’s special education teachers are highly qualified within the meaning of state and federal law. The campus has two speech therapists, two occupational therapists (OTs), and a behavioral therapist, all of whom are full-time and present on the campus every day. 38. Anova is largely the creation of Mr. Bailey, who testified at length about his school and how it could serve Student. In 2000 Mr. Bailey and two colleagues opened Anova Education and Behavior Consultation and were certified as an NPA. They provided behavior intervention services for a wide variety of students. However, as Mr. Bailey testified, he and his colleagues soon recognized that there was a kind of private placement that was unavailable to a particular set of disabled children whose cases were complicated, enigmatic, and difficult to understand. Those students had available to them only programs for emotional disturbance or programs for autism, both of which were often inappropriate for them. So they founded Anova, which was certified as an NPS in August of 2003, and was begun on a public school campus in Petaluma with just two teachers and three students. By the time of hearing Anova had 135 children on three campuses, including the 45 on the San Rafael campus, which was opened in 2008. 39. Student argues that Anova was specifically designed to serve autistic students, who comprise most of the student body; that Student is not autistic; and that he therefore cannot get a FAPE at Anova. This argument has several related aspects. 40. Student’s witnesses implied in their testimony, and seemed to assume, that if a school specializes in treating students with a particular disability, it cannot competently teach students with other disabilities. This is neither logical nor supported by the evidence. The Star Academy, for example, holds itself out as specializing in students with specific learning disorders (SLDs). However, 11 of its 64 students are autistic. Only four of its students (including Student) have emotional disturbance as a primary diagnosis, yet Star witnesses and Parents insist that Student can receive a FAPE at Star and nowhere else. As shown below, Anova is also capable of providing a FAPE to students with a variety of disabilities. 41. As shown by the history of Anova’s founding established by Mr. Bailey and mentioned above, Student’s characterization of Anova as “specifically designed” for autistic students is incomplete and inaccurate. The school was designed in large part for students whose disabilities, like Student’s, are difficult to categorize. 42. The characterization of Student as not autistic and therefore not an appropriate student for Anova oversimplifies Student’s disabilities and overlooks his similarity to many students who do attend Anova. Mr. Bailey established that Anova is certified to serve eight categories of disabled students, including the autistic, ED, other health impaired (OHI), SLD, and (if it is not their primary condition) the deaf and hard of hearing and visually impaired. Autistic students are the most numerous at Anova, followed by those with ED, but many of them fall in both categories, and the nature of the disabilities of some of them remains in dispute. Like Student, most Anova students have strong academic skills. Some Anova students are gifted. Several of them, like Student, display anxiety, depression, and attention deficits, as well as characteristics not unlike children with autism, whether they themselves are autistic or not. Mr. Bailey testified that he had seen Anova succeed with students whose anxiety was greater than Student’s. 43. Whether or not Student is technically eligible for special education because of autistic-like behaviors, the evidence summarized above showed that he displays at least some behaviors similar to those of autistic children, at least to some degree, so he is not very dissimilar to such students. The most important similarity is that social relationships are extremely difficult for Student, and for most autistic students as well. Anova specializes in encouraging social interaction among its students, and with nondisabled students when appropriate, and has so many staff members observing students’ interactions with others that they are able to intervene and smooth over difficulties immediately, rather than having to wait for the emotional aftermath. 44. Student argues that since he would be regarded at Anova as autistic, he would be subjected to the techniques of applied behavior analysis (ABA), which is not an appropriate method for teaching him. ABA is a methodology for behavioral intervention first articulated by the psychologist B.F. Skinner and first applied to autistic children by Dr. O. Ivar Lovaas.9 Student quotes some marketing materials on Anova’s website that say, in discussing its autistic students, that “we … integrate the principles and practices of [ABA] into every facet of our program …” and argues this statement dispositively shows Student will be subjected to ABA if he goes there. 45. The evidence that Student would be denied a FAPE if exposed to the techniques of ABA was unconvincing. Dr. Maria Jose Prieto, an experienced clinical psychologist who assessed or helped assess Student three times in the last several years, testified that, in her opinion, he is not autistic and that application of ABA principles to him would be “inappropriate.”10 But when asked what she meant by “inappropriate,” she testified forthrightly that she used “appropriate” to mean the best way to treat Student, and “inappropriate” as a way that was less than the best. Since the IDEA does not require that a district provide a disabled student the best possible program, her observation fell far short of establishing that Student would be denied a FAPE if subjected to ABA.11 Neither Dr. Prieto nor any other witness for Student who disapproved of the use of ABA for him has any significant training or experience as a behavioralist. 46. Dr. Prieto and other witnesses for Student assumed that because Anova treats autistic students it must use “ABA.” They spoke of ABA as unitary and a single known method; none claimed to know how it was used at Anova. Mr. Bailey, who has extensive training and experience in behavioral regulation, testified credibly that ABA is actually a group of several techniques. He established that while Anova staff are trained in ABA, and it is a foundation for some techniques used there for some students. The Anova method has evolved well beyond the traditional understanding of ABA. For example, Mr. Bailey and Anova reject the insistence of traditional ABA practitioners that only behavior matters, and that no true scientist would rely on such subjective matters as internal motivations. Mr. Bailey described that attitude as where ABA ends and cognitive behavioral models like those used at Anova begin. He testified that Anova’s emphasis on treating the inner motivations of its students is sometimes derided as “mentalism” by traditional ABA adherents. 47. ABA is only one of several kinds of methods that are integrated into the practices of Anova. Mr. Bailey established that the Anova method is a “propriety blend of existing technologies” including positive behavioral support, sensory integration, occupational therapy, speech and language therapy, social thinking, social pragmatics and highly individualized academic curriculum. Mr. Bailey and several other Anova staffers have been personally trained by Michelle Garcia Winner, a renowned S/L pathologist known for her “social thinking” technique, and they apply that technique in their teaching when appropriate. Social thinking is not ABA; it is a technique for improving the social interactions of disabled students that is also used extensively at Star. Thus Student did not prove that he would necessarily be subjected to “ABA” as that term was used by his witnesses. 10 Dr. Prieto is a licensed clinical psychologist and has a doctoral degree in psychology from Fielding Graduate University. She has had significant experience with disabled children in Paraguay and Argentina, where she is also licensed, and has been an employee of the Marin Neuropsychology Center for ten years. 11 In his closing brief Student characterizes the dispute as “one NPS placement over another NPS placement” and argues in several contexts that placement at Star would be “better” for Student than placement at Anova. Since that is not the applicable legal standard, those contentions are not considered here. 48. Student’s argument assumes that Anova would treat him as part of a category or a diagnosis rather than as an individual. Student argues in his brief that an eligibility category “drives” a student’s program, and that the addition to Student’s IEP of eligibility under the category of autistic-like behaviors led directly to the District’s offer of placement at Anova. But all the evidence at hearing was to the contrary. Every District witness who participated in the IEP team’s decision and addressed the relevance of eligibility categories testified that it was not the category that led to programming and placement, but the student’s individual needs as addressed in his goals and objectives. That view conforms to the requirements of the IDEA, which does not require that a student be eligible for special education in any particular category as long as he is eligible and his unique needs are adequately met. When we’re with your child in the classroom we’re not saying he’s autistic therefore we’re going to do this, or he’s anxious therefore we’re going to do that. We’re going to say he’s having some anxiety right now so were going to treat the anxiety . . .
51. It is possible that relating to autistic students could complicate Student’s progress in perceiving the intentions and attitudes of others. It is worth noting that autistic students are frequently successfully educated with each other even though they would encounter the same perspective-taking problems among themselves. But Student’s evidence fell short of establishing that this phenomenon would be so pronounced that he could not obtain educational benefit at Anova. 52. The disabilities and quirks of many people may complicate Student’s progress in social perception, whether he is at Star or Anova; that does not necessarily deny him a FAPE. Student argues that he should not be educated with emotionally disturbed students either, as their behavior might upset him or make him anxious. But a district cannot be required to place Student with other students whose makeup is ideal for his advancement. Many things and people make Student anxious, and he cannot be guaranteed an environment that does not increase his anxiety. 53. Student does not have such an environment now. He already mixes with a significant number of autistic students. Roughly one in six students at Star is autistic, including five of the 31 students in middle school with Student. This fact has not prevented what Student characterizes as his “spectacular” progress at Star. The evidence showed that Student has had difficulty dealing with the behavior of two of the autistic students in his class, although he has recently overcome his difficulties with one of them and has befriended that student. However, having difficulty in dealing with two autistic students is not the same as being denied a FAPE. 54. In short, Student failed to establish by a preponderance of evidence that Anova can only adequately educate autistic students; that he would necessarily be subjected to ABA there as Student’s witnesses understood that term; that he would be treated as part of the category of autism rather than as an individual with unique needs; or that his exposure to numerous autistic students at Anova would significantly impede his ability to achieve educational benefit there. 13 Ms. Gonzalez-Karcs has a master’s degree in science and is licensed to practice as a S/L pathologist in California. She is a member of the American Speech Language Hearing Association and has a rehabilitative clear credential. She has worked with disabled children for the San Francisco Unified School District, at a residential treatment center, and in private practice. This is her fifth year at Star. 55. Some of Student’s witnesses testified that his anxiety is so pronounced that he could not tolerate seeing another student physically restrained or secluded by school staff. Ms. Crowder testified that the “level of behavioral challenges” posed by the students at Anova would be “literally terrifying” for Student and that merely “having the knowledge that [restraint and seclusion] exist at Anova” would be “horrible” for Student; he would be “anxiety-ridden 24/7,” that it would be very difficult even to get him to school. Ms. Crowder did not explain how she knows about the “level of behavioral challenges” posed by Anova students, and did not appear to know much about those students other than what she had gleaned from looking at Anova’s website and talking to Parents. 57. These predictions were speculative and seemed exaggerated in light of the evidence, which showed that Student has witnessed restraint used at least twice at Star without subsequently refusing to go to school, or being unable to continue in his progress there. Ms. Norris testified that Student told her during a therapy session of an incident at Star in his fifth grade year in which a fellow student had been loud and noisy and would not stop or leave the classroom, so the teachers physically removed him. This scared Student; he still occasionally talks about the incident. 58. Ms. Norris mentioned the incident to Mother, who testified that she talked to the teacher and learned that the student in question was having a “meltdown” and was hanging on to a door, crying and screaming that he did not want to go, until two teachers finally got his hands off the door and removed him from the classroom. Mother testified this was “huge” for Student, who exaggerated the incident in his mind to the point that he believes five teachers were required to remove the student. But Ms. Norris also testified that Mother “resolved” the matter with the school. There was no evidence that the incident had any lasting effect on Student’s ability to attend and make progress at Star. 59. Mother also briefly described an incident more recently in which a young girl had a “meltdown” in the classroom in Student’s presence, crying and being “very, very loud,” and had to be physically removed from the room. But there was no evidence that this had any serious or lasting effect on Student. Ms. Norris also opined that Student would be upset to see restraint or seclusion used at Anova. 60. The fears of Student’s witnesses that he would witness extensive use of restraint at Anova, or the use of seclusion, did not have any substantial factual foundation. The evidence did not show that Ms. Crowder, Mother, or Ms. Norris had any personal knowledge of how or whether restraint and seclusion are used at Anova, and none of them claimed to have such knowledge.14 Ms. Crowder did not claim ever to have seen Anova. 61. Mr. Bailey established that the behavioral problems Student could expect to see in other students at Anova, and the school’s response to them, were much less serious than Student’s witnesses feared. He testified that Anova never uses seclusion as a method of behavior regulation. Instead it provides rooms where students may go voluntarily, if they feel it necessary, to lie down on a beanbag in a quiet place and reduce stress. Students are never required to do that; they come and go as they please, after having learned that the option to spend time in the quiet rooms as a technique for relieving their tensions is available to them. 62. Mr. Bailey also established that while he and his staff are trained in restraints, they rarely engage in them beyond keeping a student from leaving the campus – which may look like restraint if a student tries to push around them and out of the school. In the middle school group at Anova, where Student would be placed, there is only one student who ever requires restraint, and his behavior is not directed at other students. That one student has had to be restrained three or four times this year. The relative absence of the need to restrain students with behavioral problems reflects Anova’s admissions policies: the school accepts some students at younger age levels who may require occasional restraint because it is easier to do with a child of five or six years of age, but it never accepts an older student (for example of high school age) with serious external behavioral problems, because such a student will be bigger and stronger, and Anova does not desire even to attempt to restrain such a student. This admissions policy minimizes the need for restraints. 63. Mr. Bailey testified that Anova never uses restraints as a planned strategy, because it is not an intervention, it is not therapeutic and it has no legitimate use except to keep children safe. 64. Student did not prove that he would be so upset to observe another student restrained, or that Anova students require restraint with sufficient frequency or severity, that his ability to obtain educational benefit at Anova would be significantly impeded. 14 Father visited Anova very briefly before the May 11, 2011 IEP team meeting and was told that the school was “generally” for autistic students. Father, Mother, and Ms. Norris visited Anova some weeks later; as Mother explained it, “we need to go and look at this before we say not appropriate for [Student].” The visitors were shown around for about 45 minutes by Mr. Bailey, and observed classes and students. Their minds were not changed by the visit, but at hearing they did not identify anything they observed or learned during the visit that supports the arguments Student makes here. 65. Mother and several Star Academy witnesses testified that it would be wrong to move Student from Star to any other school because the transition would be so difficult it would virtually prohibit his educational progress. These views were premised on their observations of Student when he made the transition from home instruction to Star at the beginning of his fifth grade year. Mother testified that when Student started at Star he was very anxious about returning to school. He could not attend every day. He would quite frequently have difficulties with peers, his anxiety would turn into stomach pains, he would double over, and she could not get him to go to school. 66. Ms. Crowder was hired as Star’s Head of School about the time Student began to attend Star. She encounters him on the campus a few times a week and hears discussions of him in staff meetings. She testified that when Student arrived on campus in fall 2009, his extreme anxiety manifested itself in frequent absences, somatic complaints, aversion to physical education and large assemblies, hesitancy to address difficult tasks, and difficulties in tolerating peers. He dwelt on prior unpleasant incidences at school, anticipated similar difficulties at Star, perceived innocent actions as threats to him, and frequently would react to difficulties by not coming to school for a day or more. When he was on campus, she testified, his anxiety diminished his ability to focus in class and interact with peers. 67. Ms. Crowder testified further that although Student’s anxiety has lessened and his attendance has improved dramatically since he started at Star, it had taken Star and Parents a long time to achieve those gains, in part because Student’s trust in people at Star had grown very slowly. She testified that he was not ready to generalize those gains, and predicted that placement at a new school would be “traumatic” for him, in part because he would initially distrust the new people to whom he would relate. Ms. Crowder opined that Student would go “far, far backwards if he were to transition out of Star anywhere” and that it would take “a few years” to adjust to any change of school. 68. Ms. Gonzalez-Karcs testified when she first began providing S/L therapy to Student at Star in fall 2010, he was despondent, lethargic, presented with high anxiety, ruminated about things that had happened to him in the recent and distant past, had difficult relationships with peers, and could become extremely agitated by a single word from someone else. It took her a long time to establish trust with him. She testified that it would be “very unfair” and “very traumatic” for him to change schools because he was not ready to generalize the skills he has learned in any other school or setting. 15 Mr. Hall has multiple-subject and mild-to-moderate special education teaching credentials. He taught second grade at Crocker Highlands in San Leandro and moved to Star in 2008 as an assistant teacher. He is now a teacher in charge. 71. The concerns of Mother, Ms. Crowder, Ms. Gonzalez-Karcs and Mr. Hall about Student’s possible transition to Anova may have had some basis in their earlier experiences with Student, but their collective view that he could not now successfully make the transition to any other school was substantially exaggerated when measured against the evidence produced at hearing. Even if Student’s transition to Anova were fully as difficult as his transition into Star from home instruction, those difficulties would not rise to the level of a denial of FAPE. Student managed to obtain significant educational benefit from his transition to Star, notwithstanding all his initial difficulties, even in his first semester and first year. Ms. Crowder, Ms. Gonzalez-Karcs, Mr. Hall, Ms. Norris, and Mother all testified that Student has benefited greatly from his experience at Star, and none of them made an exception for his first semester or first year. Well, for someone who professes to be “too shy, embarrassed and a lousy singer,” [Student] knocked all of our socks off in the school play. [¶] I’d love to see him in the chorus this semester. These contemporaneous reports do not describe a student who can barely stay in school. 74. In addition, the evidence did not support the assumption of Student’s witnesses that his transition from Star to Anova would be as rocky as his transition from home instruction into Star. Student had been removed from public school somewhere during his third grade year under unpleasant circumstances, and had received instruction at home from Mother, in relative isolation, for the rest of that year and throughout his fourth grade year. When he entered Star for fifth grade he had to deal again with teachers, service providers, fellow students and rules of behavior, after having been away from such an environment for a long time. In contrast, the transition from one small NPS to another, after a successful experience at the first, would likely be much easier. 75. The dire predictions of some of Student’s witnesses about his possible transition to Anova did not take into account all the progress he has made since he began to attend Star. Ms. Crowder testified that his attendance has improved “dramatically” and his anxiety has “improved greatly”; that he has achieved two years’ progress in two years’ time; and that although it took Student years to enjoy a sense of safety at Star, he was now able to take risks academically and socially. Ms. Gonzalez-Karcs agreed that Student has made much progress at Star, and recounted a recent incident in which Student’s handling of teasing from an autistic peer had greatly improved. She also reported that this year Student has befriended an autistic student with whom he previously had substantial difficulties, and now sits next to him in class. 76. Mr. Hall testified that at the beginning of the 2009-2010 school year Student could experience one negative event in a day and “hyperfocus” on it, even into the following day, but toward the end of the year was able to walk out of class with a smile and was able to praise his fellow students. His eye contact has improved. He can advocate for himself, which he could not do when he arrived. His relationships with some of his peers were “starting to blossom” at the end of SY 2010-2011, and he had a lot more age-appropriate conversations with them. It took him time to manage the two autistic students in his classroom, but he has learned that they are not deliberately trying to bother him and now is friendly with one of them. 77. In her testimony, Mother confirmed that Student’s attendance has undergone a “huge improvement” since he began at Star. She generally agreed with the descriptions of his progress by Star staff. Ms. Norris commented that as Student gets bigger and taller, he becomes less afraid. She also confirmed that he has befriended one of the two students at Star who bother him most, and is learning to cope with the other. Sandra Bennett, Student’s occupational therapist at Star, also testified she had seen significant improvement in him since he arrived. 78. Student’s own evidence thus showed that he has improved greatly in the last two years in his ability to relate to people, including other students and autistic students, and thus cannot be expected to have the same degree of difficulty with a transition to another school now as he did in 2009. 79. Finally, in predicting that Student could not manage a transition to Anova, Student’s witnesses displayed no knowledge of the assistance that Anova could give Student in such a transition. Mr. Gardner testified that in his 10 years in education he has had “great success” in transitioning children into Anova who are “among the most difficult types of kids to transition,” including one who was “the most school-phobic student I’ve ever met.” He testified that Anova has “a proven track record of working with kids who are very difficult to transition,” and that they have a process for doing it that works well. He testified that he has not once been disappointed by how the transition process into Anova has gone. 80. Ms. Baer testified that she has placed students at Anova before, and in her experience Anova has “done a very good job” transitioning students with a wide variety of needs, including those not expected to make the transition well. These successes include one student who had been on home instruction for an extended period of time and had a difficult time in public school; he has “done beautifully” making the transition to Anova. She attributed Anova’s success in supporting their students’ transitions to the facts that they have a very structured program, very high expectations, and the behavioral support on site to support students’ needs as they come up throughout the day. 81. Student made no attempt to refute the testimony of Mr. Gardner and Ms. Baer about Anova’s skills in helping students make the transition into the school. 82. For the reasons above, Student did not show by a preponderance of the evidence that any difficulties he might experience in making a transition to Anova would be sufficiently serious that they would significantly retard his education there or endanger his ability to achieve educational benefit. 83. The IDEA requires that a student with a disability be placed in the least restrictive environment (LRE) in which he can be educated satisfactorily. The environment is least restrictive when it maximizes a student’s opportunity to mix with nondisabled students in class and other activities. Student’s argument that Star is the LRE for him has two parts. 84. First, Student points to a federal regulation requiring a district, in determining the LRE, to give consideration to any potential harmful effect on the child or on the quality of services that he or she needs. Then Student argues again that use of ABA and placement at Anova with allegedly disruptive students who will require restraint and seclusion will threaten him and his anxiety would rise. This is merely a restatement of the arguments rejected above. And there was no evidence that the district did not consider such potentially harmful effects. It appears that District IEP team members simply reached different conclusions about those effects than did Parents and their supporters. 85. The second aspect of Student’s LRE contention is that, unlike Anova, Star has some students who are not on IEPs and not eligible for special education, including some in Student’s current classroom, and that Star is therefore the LRE for him. This contention was first made only in Student’s closing brief, and was never previously discussed as an issue. Neither the District nor the ALJ had any reason to develop a record on the subject, and no adequate record on the subject was made. Student’s new contention is therefore untimely and supported only vaguely and indirectly in the record, and is rejected for those reasons alone. 87. In isolation, Ms. Crowder’s answer to that question could be said to support Student’s new claim. However, the evidence at hearing showed that this interpretation is not even plausible. 88. Mr. Hall testified that of the 12 students in Student’s class, only five have IEPs. The other seven are apparently among the 13 students mentioned by Ms. Crowder; Student categorizes them that way in his closing brief. If Student is in a class of 12 with seven nondisabled students, the conclusion would be unavoidable that Student is being mainstreamed now, all day, in his classroom. That conclusion cannot be reconciled with the evidence in the record. The rest of Ms. Crowder’s testimony showed that she did not believe Student is being mainstreamed. When asked about Star’s mainstreaming practices, Ms. Crowder described several kinds of activities, all of which occurred at other schools. She made no mention of any mainstreaming at Star itself. She expressed both at hearing and at the May 11, 2011 IEP team meeting the strong opinion that Student should not be mainstreamed until high school, if then. 89. Every other witness for Student who was asked about mainstreaming also testified Student was not ready for it. Mother adamantly opposes mainstreaming Student. Mr. Hall, Ms. Gonzalez-Karcs, and Ms. Norris also expressed the view, either at hearing or the May 11, 2011 IEP team meeting, or both, that Student is not ready for mainstreaming. In order for Student’s new interpretation of Ms. Crowder’s testimony to be correct, all these witnesses would have been advocating against mainstreaming Student while simultaneously subjecting him to it, or at least knowing he was being mainstreamed. That is highly unlikely. 16 “Mainstreaming” is the practice of mixing a disabled student, for part of his time in school, with nondisabled students in class and in other activities. There was no evidence that the parents of those 13 students ever sought IEPs or that Ms. Crowder was doing anything more than speculating about their potential eligibility for IEPs. At one point she testified, inconsistently, that only a “very small percentage” of Star students would not qualify for special education. 90. No witness claimed that Student was in fact being mainstreamed. All the testimony from Star employees was consistent with the view that Star itself does not regard those 13 students as nondisabled. 91. In addition, the principle of the LRE requires the education of disabled students with nondisabled students, not “mainstream” students. It is not clear from Ms. Crowder’s answer, quoted above, that she was addressing, or was aware of, the distinction between students who are nondisabled and students who are not eligible for IEPs. Many students are disabled but not eligible for special education because their educational needs can be met in the general education environment. And there is reason to believe that most if not all of the 13 Star students in question fit that description. Those students are privately placed by their parents in a school specializing in teaching disabled students and certified by the State to do so. Ms. Crowder described some of the 13 students without IEPs as students who “require a small protective setting,” others whose tests scores were too high to qualify them for eligibility,17 and still others as those whose parents simply decided they need a private school. Students selected according to their parents’ ability to afford an expensive private school, which they know to be for disabled students, are not necessarily nondisabled students. 92. The preponderance of evidence did not show that any significant number of Star students are nondisabled for the purpose of determining the LRE. It clearly did show that Student is not being mainstreamed at Star at present and has no prospect of being mainstreamed there in the near future. Therefore, Student’s contention that Star is the LRE for Student is contrary to almost all the evidence produced at hearing, and is not persuasive. 93. Student argues in his closing brief that the District denied him a FAPE because it only offered 60 minutes of OT consultation a month, although Sandra Bennett, Star’s OT, testified that he “needs” direct services. Ms. Bennett actually testified only that Student could not be “properly served” without direct therapy, a statement that has little to do with the governing legal standard. And after observing Student in class at Star, the District’s OT April Manning testified persuasively that Student was doing very well in class, with sensory supports and accommodations, and that he did not need direct therapy during the school day. She also noted that pulling him out for direct therapy would take him out of class. Student did not prove that the District’s offer of OT was inadequate. Issue No. 1: Was the District’s offer at the May 11, 2011 IEP team meeting to place Student at the Anova Center for Education predetermined, thus depriving Parents of their right of meaningful participation in the IEP process? 7. Based on Factual Findings 4-25 and Legal Conclusions 1-6, Student did not show by a preponderance of the evidence that the District decided before the May 11, 2011 IEP team meeting to offer him placement at Anova, thus violating Parents’ procedural rights. Mr. Bailey’s disputed email does not establish that he had already agreed to accept Student; it merely shows that he agreed not to require a personal meeting with Student before the acceptance decision was made. The evidence showed that Parents and their supporters had an adequate opportunity to discuss the relative merits of placement at Star or Anova and did so. The evidence did not show that they were rushed through the meeting or needed or wanted more time to express their views. An inability to use oral language for appropriate communication. A history of extreme withdrawal or relating to people inappropriately and continued impairment in social interaction from infancy through early childhood. An obsession to maintain sameness. Extreme preoccupation with objects or inappropriate use of objects or both. Displays peculiar motoric mannerisms and motility patterns. 11. A student’s eligibility category may have consequences for funding, the availability of outside services, statistical reporting, and other purposes, but if an IEP delivers a FAPE, the accuracy of the category under which it is delivered is not an issue for judicial review under the IDEA. (See B.B. v. Perry Township School Corp.(S.D.Ind. 2008, July 11, 2008, Nos. 1:07-cv-0323; 1:07-cv-0731) 2008 WL 2745094, p. 8 [nonpub. opn.].) The United States Department of Education has advised that “a child’s entitlement is not to a specific disability classification or label, but to a free appropriate public education.” (Letter to Fazio (OSEP 1994) 21 IDELR 572, 21 LRP 2759.) Student does not cite any IDEA decision affording relief from the addition or subtraction of an erroneous eligibility category when the student remained eligible for special education. Nothing in this chapter requires that children be classified by their disability so long as each child who has a disability listed in . . . this title and who, by reason of that disability, needs special education and related services is regarded as a child with a disability. . .
(20 U.S.C. § 1412(a)(3)(B).) A properly crafted IEP addresses a student’s individual needs regardless of his eligibility category. (See Fort Osage R-1 School Dist. v. Sims (8th Cir. 2011) 641 F.3d 996, 1004 [category “substantively immaterial”]; Hailey M. v. Matayoshi (D. Hawaii, Sept. 7, 2011, No. 10-00733) 2011 WL 3957206, p. 3). “The very purpose of categorizing disabled students is to try to meet their educational needs; it is not an end to itself.” (Pohorecki v. Anthony Wayne Local School Dist., 637 F.Supp.2d 547, 557 (N.D. Ohio 2009). 18 Section 56846.2 of the Education Code, which sets forth a similar but not identical definition of a “pupil with autism,” applies by its terms only to the chapter of the Code containing it, which addresses autism training and information and establishes an advisory committee. That definition is not an eligibility standard. In any event, whether Heather was described as cognitively disabled, other health impaired, or learning disabled is all beside the point. The IDEA concerns itself not with labels, but with whether a student is receiving a free and appropriate education. A disabled child’s individual education plan must be tailored to the unique needs of that particular child. [Citation.] In Heather’s case, the school is dealing with a child with several disabilities, the combination of which in Heather make her condition unique from that of other disabled students. The IDEA charges the school with developing an appropriate education, not with coming up with a proper label with which to describe Heather’s multiple disabilities. Issue No. 2: Should Student’s eligibility category for special education be emotionally disturbed, rather than autistic-like behaviors? 15. Based on Factual Findings 26-32 and Legal Conclusions 1 and 8-14, Student did not establish any right to be classified as eligible for special education and related services only under the category of emotionally disturbed. Even if the additional classification under autistic-like behaviors was improper – an issue not decided here – Student suffered no educational loss and Parents lost no participatory rights as a result. The offered IEP was designed to address his individual needs, not his eligibility categories. Even if the [placement was] better for [Student] than the District’s proposed placement, that would not necessarily mean that the placement was inappropriate. We must uphold the appropriateness of the District’s placement if it was reasonably calculated to provide [Student] with educational benefits. Issue No. 3: Was the District’s offer of placement at Anova inappropriate, thereby denying Student a FAPE? 25. Based on Factual Findings 1-4 and 33-93, and Legal Conclusions 1 and 16-24, the District’s May 11, 2011, IEP offer was appropriate and constituted an offer of FAPE. Student did not prove by a preponderance of the evidence that he could not be adequately educated at Anova; that he would be subjected to inappropriate behavioral methods; that he could not tolerate the presence of the other Anova students; or that he would be so damaged just by seeing and knowing about restraint or seclusion, or by the transition into Anova, that he could not obtain educational benefit there. Nor did the evidence show that Star would be the LRE for Student. The evidence showed instead that Anova is appropriately sensitive to the need to shape its techniques and practices to Student’s individual needs; that it would not mechanically treat Student as autistic or necessarily subject him to traditional ABA; and that its students are not so disruptive that Student would be unable to obtain educational benefit in their presence. The evidence also established that Student would be adequately supported if he makes the transition from Star to Anova.